Long seasons of prayer are necessary. Five minutes isn’t long enough. If you spent only five minutes a day with your child, he wouldn’t know you too well, would he? (You wouldn’t know him too well, either.) Your influence on that child would be minimal. It’s the same with knowing God. You’ve got to spend lots of time with Him. 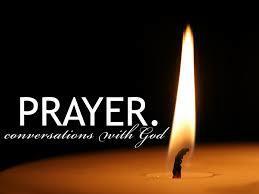 These long seasons of prayer are necessary so you can get out of your natural mind and into the spiritual realm. I call it “traveling with God in the realm of the glory world.” It’s possible, but it’s done in the Spirit, not the flesh. Today there’s a lot of grunting and groaning—so-called “travail”—going on because that’s the popular thing to do. However, if that’s not the Holy Spirit moving on you to do it, then it’s the flesh.God is sick and tired of fleshly prayers. You get into the realm of true prayer—true intercession—by falling down on your face before God and seeking Him. God is calling every one of us to move into the realm of the Spirit to do battle. It’s time. God is calling us to move out of the world—the things of the flesh—and to move into the realm of the Spirit. When you start praying in tongues, you’ll cross over the line into the realm of the Spirit. You’ll forget time—time has no meaning. The only thing that will concern you is pressing on, getting closer to God. You’ll keep fighting to get the answer.That’s why praying in tongues is so important. The natural mind has no spiritual power; it’s the Holy Spirit who causes the devil to flee. Demons fight tongues like crazy because they know praying in tongues is the hot line to God.No demon can prevent a prayer in tongues from reaching the Throne Room of God. A prayer in tongues is spoken out of the spirit, and that spirit has power—lots of power. The devil knows that, so he deceives people about tongues, because he’s afraid of it. It’s one of the greatest weapons the Christian has. Looking for a Particular Instructive Read?